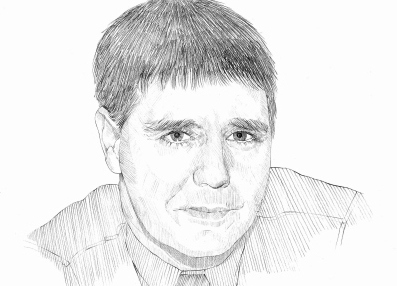 Andrew Hewson is a freelance writer and columnist. So what are we to make of the new hour-long format for Gardeners' World? So that's it then. Brexit it is. For better or worse, richer or poorer. Over and out. Literally. Into the current power vacuum come fear, uncertainty, mass hysteria and much doom and gloom. According to Hewson...Is a blanket ban against invasive plants right? Our friends in Brussels have been at it again. Seemingly obsessed with meddling in everyone's business, they sought to criminalise growing ornamental plants via a directive on the "prevention and management of invasive alien species". I don't know about you but Sundays in our house are 'free days', in that we rest-up and steer well clear of anything much beyond tucking in to a decent lunch. So what are we to make of George Osborne's final Budget before May's general election and what might it bring for UK Horticulture PLC -- and in particular the ornamentals sector? What are we to make of the BBC's The Big Allotment Challenge and Great British Garden Revival? Aside from their entertainment value, will they help bring a new audience and much-needed cash to the garden market? After all, someone needs to buy the many splendid plants we grow. I'm often asked by growers whether I think there is a skills shortage in the industry, by which I mean commercial horticulture in general and the ornamentals sector in particular. My answer is always yes. When I was growing up in deepest Yorkshire, I used to hang out with the old guys down at the allotments. It was a welcome distraction from schooldays and my ceaseless struggle to be the next Geoffrey Boycott. If there is an "everyday" pest that strikes fear into the hearts and minds of growers, gardeners and amenity folk alike, it is black vine weevil (Otiorhynchus sulcatus). I'm sure I'm not the only one astonished to read that shoppers splashed some £2.7bn last Boxing Day - a record amount and one of the biggest ever days for retailers. Every so often something good comes along, so good that it surely can't be true. Stop me if I've told you this before, but autumn is the best time to plant nursery stock. Ash is in its dormant season and the amount of horsemeat finding its way into cheap lasagne has diverted press attention from Chalara. Every now and then something comes along that tests the rigour of my political leaning, such as the current proposal to abolish the Agricultural Wages Board (AWB).